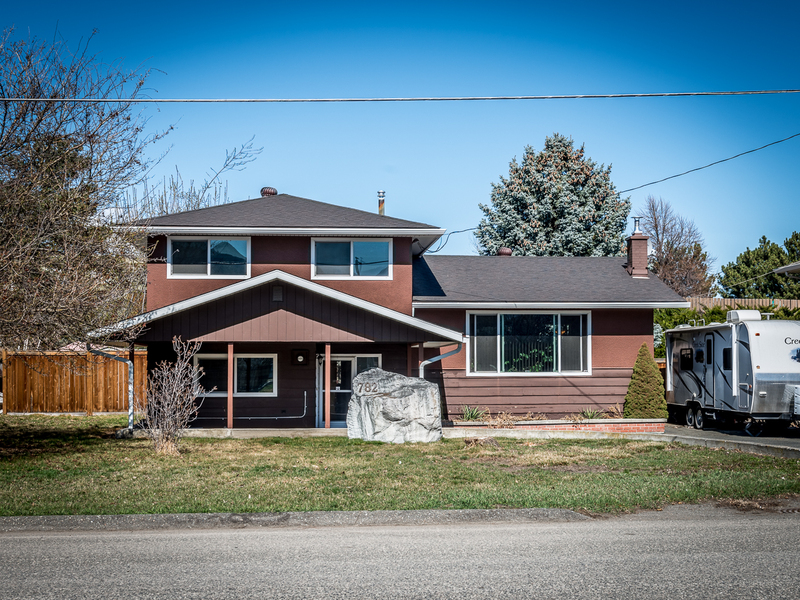 New Listing: 782 Sherwood Drive, North Kamloops, BC $410,000. Located in a quiet, family friendly neighborhood, this charming three level split home has been tastefully renovated and features 4 bedrooms and one bathroom. On the main floor you will find a gorgeous kitchen with stainless steel appliances and plenty of cabinet space, dining room and bright living room with plenty of windows & wood burning fireplace. Upstairs you will find 3 generous size bedrooms and a four piece bathroom with soaker tub. Downstairs features an additional bedroom, family room & laundry room. Original hardwood flooring and updated tiling throughout. Newer HW Tank & Furnace (2015), roof (2010), windows and carpets. Plenty of parking with additional room to park your toys along the side of the home. Relax and enjoy spending time in your spacious and private backyard. Walking distance to McArthur Island Park, schools & shops. Nothing to do but move in! All measurements area approximate and to be verified by purchaser if important.